Zoom+ Box set is very good value for money for the three essential items. The 3+ Box set sets you up with the best tools. No need to ever upgrade. Let hope that's winter snow on the way at last. 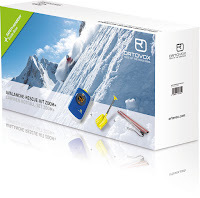 If you need any avalanche safety kit I can do airbags, transceivers, shovels and probes as well as clothing and rucksacks from Ortovox. Its a cut throat business as importers try and cut prices to keep trade while the strength of the pound makes getting the kit from Europe more expensive. I will not pretend I can compete with online companies that buy huge amounts and make it work on reduced margins by selling cheap and in volume. I can't. But I try and get close. What I can offer is avalanche knowledge and practical "hands on" using the kit I sell in real rescues as well as training. The plus for customers is that I can offer some free training and advice if you buy from me. 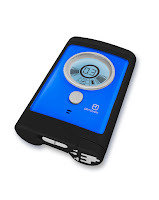 Advice is always free and I am happy to spend a little while on the hill showing you your transceiver and making sure you get the best out of it in the context of avoiding getting to that having been avalanched moment with the avy forecast and some knowledge. 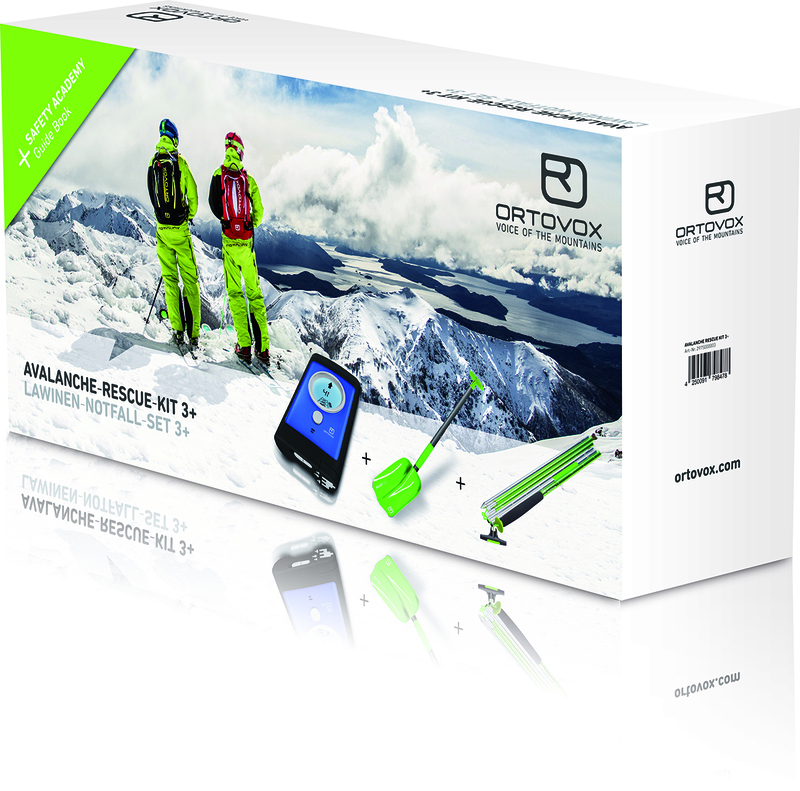 I sell ARVA, BCA and Ortovox snow safety equipment. I sell more of Ortovox now than other makes. 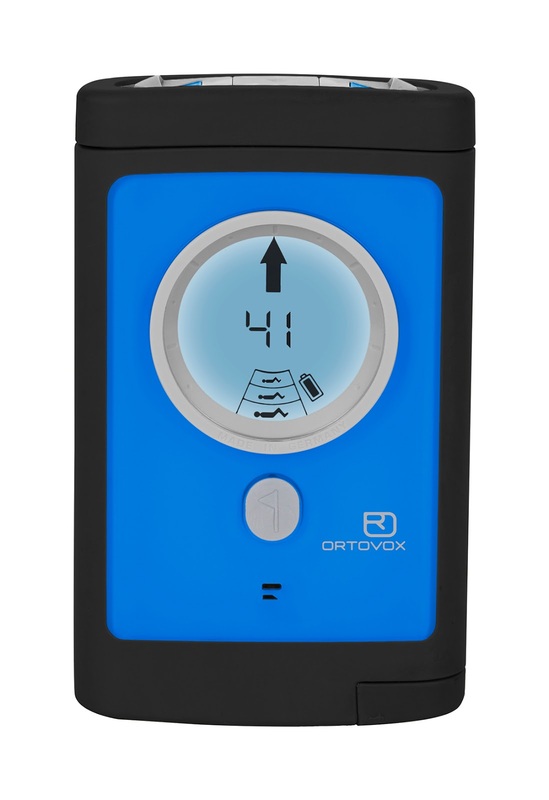 The "smart antenna" technology of Ortovox transceivers (Beacons) is really good and I think makes a big difference. 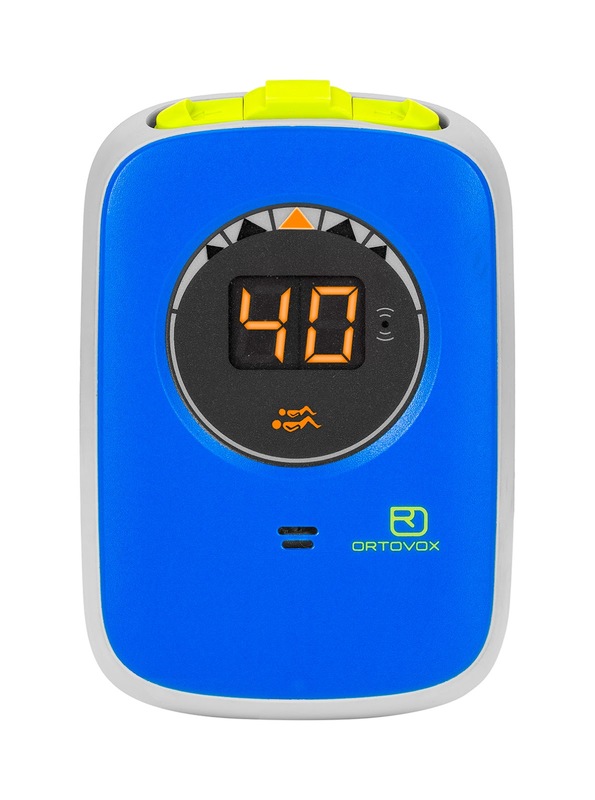 All new Ortovox beacons also have a Recco strip inside which is a nice extra. 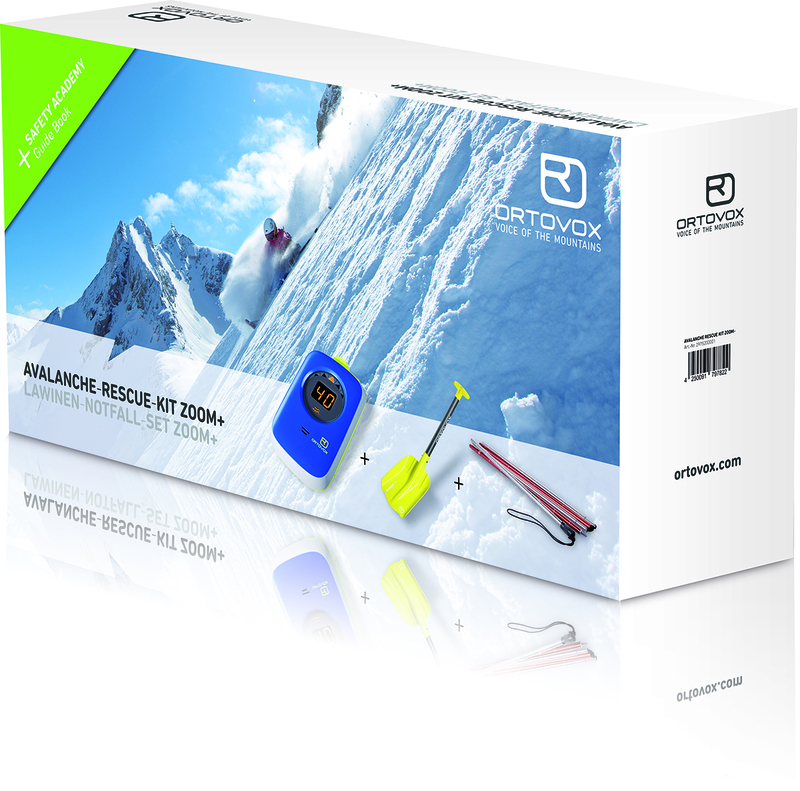 The Zoom+ is a basic 3 antenna beacon and if your new and on a budget I can recommend the Zoom+ Safety set which has a good basic shovel and probe as well as info booklet on avalanches in the box. 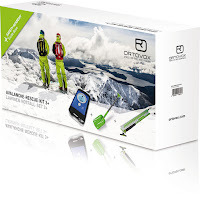 I sell more of the Ortovox 3+ than any other beacon. Its got an improved fine search and is a bit faster than the Zoom. It also has the "mark/flag" feature. I recommend that folk learn how to search in a pattern before relying on this feature but the 3+ seems to mark well and as its limited to marking 3 victims the chance of signal overlap and overload is minimised. This is a good avalanche beacon. The safety set comes with a slightly better shovel with an extendable handle and a good 240pfa probe and all three in a box is cheaper. A really good shovel is the pro alu III as you can convert it to a hoe which in conveyor shovelling is the most effective way of clearing the snow from the point man. We cover this in avalanche training courses. I personally have an S1+ which is the daddy of avalanche beacons. It has all the good features of the 3+ and a really good deep burial mode and a close proximity multi victim mode. The screen is big and its possible to see direction and distance to each victim as well as the strongest signal its locked into. The S1+ also has a longer range (about 15 metres longer) than other digital beacons. Its a good beacon for a professional guide or ski patrol. The S1+ has a superior display and deep burial feature as well as close proximity multiple victims. £275 from me. "we are all infinitely wise"
I am researching legal stuff on avalanches. Some mountain professionals are advertising and offering to investigate avalanche incidents independently. I wouldn't regard myself as being either qualified or desiring to take on such a burden as avalanches have provided me with enough drama and loss. However, its interesting to look back on precedent to satisfy my curiosity as to where these investigations lead. I have undertaken avalanche hazard evaluation for ski areas as part of prevention and rescue plans where foresight is needed, but post accident investigation makes me uneasy unless its low key and done as impartial data collection which I am sure the SAIS does discreetly. With time on my hands I am going back over my early texts, listening to my recordings from tutorials I undertook on avalanche and education from many of this generations experts, one who is my Recco mentor. I am also enjoying re reading some classic books Andre Roch, Sleigman and Atwaters texts are still among the best on the subject and I have linked some abstracts from within the books to give a flavour. Getting these books nowadays is expensive and looking back at my library its a lot smaller. Like an eejit a few years back when a bit skint I sold loads of books to get a carbon race bike. I may have got £350 for "Extreme Rock" and the same for a book which I was able to get Ricardo Cassin to sign for me when I met him, but I sold my soul for a "thing" and wish I hadn't. There is a lot on avalanche control and prevention as ski professionals which we would all do well to heed especially in ski rescue where public safety is a big part of the job. When you are looking through old yellow boxes of slides sometimes you come across all sorts of stuff that bring back memories of a day. I remember that day because in other pictures of it which I cant show I have on a pair of knitted wool finger less gloves Fiona had knitted for me which were cosy and warm. As a medic I could do stuff with them with some dexterity while not getting frostnip. Pre SAIS forecasting. 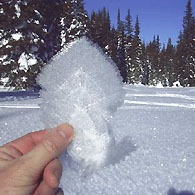 There was surface hoar on a shallow snow pack and light breeze. Rather a sad incident when two climbers on the shallow early snow pack triggered a slide that pulled them off. They must have been moving together on the easy upper ground near where NW gully comes out when they hit a deep slab that took them back into NW gully and to the bottom pitch. It buried them very deeply indeed in a terrain trap and they were found by a probe strike. Take home point is that a shallow snow pack can allow a lot of vapour transfer and then surface hoar or faceting will occur readily. Then all it takes is a wee breeze to load a pocket on the exit of a gully or a crucial transit point to easy ground and then the consequences for a climber or climbers who will not a have a good run out are big - or in this case 2 x fatal. The "Gate" just visible behind and to the right of the blue hood up figure. SAR 137 on the way in with two others who survived, but were benighted up high above the release point. I had put the gate back up with rusty wire the previous summer. I bet its now grown over flat in the grass. Richard, Mike, Walter and Pete in picture. Hamish and John out of shot. The best DVD you can get on basic snow science and avalanche. Even though an ANENA membre I still had to buy mine in France as they don't ship to the UK but its now possible to get it as a Vimeo download. I can't praise it enough as it touches all the bases. SNOW AND AVALANCHES - Knowledge and Risk's Management from ANENA - CANOPÉ on Vimeo. "Before the discovery of Australia, people in the Old World were convinced that all swans were white, an unassailable belief as it seemed completely confirmed by empirical evidence. The sighting of the first black swan might have been an interesting surprise for a few ornithologists (and others extremely concerned with the colouring of birds), but that is not where the significance of the story lies. It illustrates a severe limitation to our learning from observations or experience and the fragility of our knowledge. One single observation can invalidate a general statement derived from millenia of confirmatory sightings of millions of white swans. All you need is one single (and, I am told, quite ugly) black bird"
We humans have a bias for the anecdotal rather than empirical and as the book above challenges, even empirical data can be wrong. But, in science its all about proof and the requires research and if its from more than one source then these empirical "black swans" are less likely as we increase certainty. Everything including travelling in avalanche terrain is managing uncertainty. As the cause of death in avalanches is researched by many alpine nations there is a lot of good data to support the statistic that folk mostly die because they either cant breath, or what they are breathing is not rich in oxygen. I wouldn't say the book is to every body's taste but much like "Thinking Fast- Thinking Slow" and "Managing Risk in Extreme Environments" and even "The Checklist Manifesto" it's another take on how we think and how we learn from our mistakes. If we learn from our mistakes? may well be the take home from the above book, as when we change how we think with hindsight, we maybe just move the uncertainty somewhere else. You probably need a good strong hash cookie with your' coffee for this book. 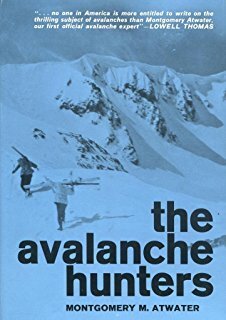 I have re bought an old favourite book which is one of the few that rivalled "The Avalanche Enigma" it's called "The Avalanche Hunters". I am enjoying going back to these old books and realising that our knowledge of the subject has not had a quantum leap and these old tomes still teach lots. These books were all important to me as way back early to mid 1970's there was little formal training. We were fortunate in GMRT that Hamish was well connected and brought folk across to run training from Europe, and as early adopters had the first transceivers, but on understanding the subject a lot of self learning was needed. I reflect back and realise we never really applied much of it to ourselves and skied off piste with total bravado ignoring things that happened to other people. 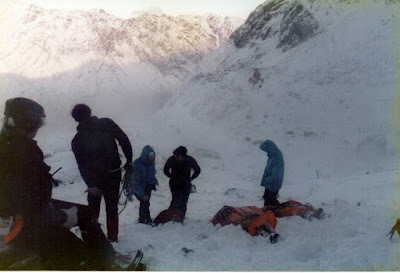 Skiing back to Verbier off piste with Fiona's dad and a group after coming off Mont Gele, then the group of three strangers behind gets killed later is just one example, and it horrifies me to look back at the sheer stupidity and randomness. As we were with friends in a group it was total group think and feeling safety in numbers. Another example in Switzerland was saying nothing when Fiona skied the back route down to Rougment off the Videmannette with a high risk with Roger and then getting lost in the dark. These were mere tasters to ducking the ropes later trips and bollockings from pisteurs. One time they even stopped the cable car above us as we ducked into a 45deg horror fest. As on ski patrol now, I would arrest myself! These trips were not package tours but often two or three week stays in Chalets of lifelong friends of Fiona's parents so the skiing was pretty immersive and full on with a lot of group bravado. All bad stuff in avalanche terrain. I often wondered if it was MR that made me interested in the subject but looking back its the sum of lots of parts that all add up, and ski near misses and realisation that your were an ignorant fool - that's probably the biggest one! I had a wander up to the crag today and despite it looking impassable over the wind blow, there is a really easy route around the tree's. All the routes are surprisingly clean, even Autan and although I didn't go up round the corner to the easier right hand routes they looked doable from below. Hard to believe there could be 4 to 8 folk climbing on here on a regular basis and quite a social with a fire at the bottom under the overhang - sometimes with beers. Makes me keen again. But I sold all my gear 4 years ago when I hurt my back and thought that was it as I had to learn to walk. Now back climbing again and getting into it I went and looked at ropes and making up a rack. It's not going to happen at the prices in Fort William so the good old days of soloing will have to return, but not on these routes as too steep and nippy. Left line is "Autan" and the middle one shows "Shuttlecock" pitch 2 up onto the block then the airy step out. Also shows the escape route from the belay to the fixed gear. Two other routes arrive at that belay the best of which is Murray Hamiltons 6b which starts in the recess below Shuttlecock and goes up to the spike that isn't into the crack that kind of is. Ferocious! Looking across to the upper dihedral of Shuttlecock to the top of the 1st belay. There is an alternative 5b start up and through the twisted tree shown but the best start is from the bottom on the flat bit and up into the corner as the gear is better and the hold good despite how it looks. Left is one of Gary Latters 6b's and right is "Bill's Diggers Fucked" by Cubby. There is a story to the route name but not for on here! This route is ferocious so you have been warned although there is gear! The central corner of "Marathon" which even the legendary Joe Brown climbed with me once. He led! Joe was a regular visitor to the area often with Mo Anthoine. Either working on film projects with Hamish (Spacewalk/Freakout live OB) or just climbing with Paul Moore's or Ian. He was still leading E4 6a at 60+ and the above corner was a piece of piss to him. I have done it many times (Fiona was a first ascensionist after Ed led it) and the gear is really good. It's a bit thrutchy and the top move left requires agility and it can also be done direct on finger jams. E1 5b if you climb on grit and E2 5c if you haven't. The slab on the left was climbed by Mark Macgowan (Face) and pokey. On the right is Gunnslinger. The lower off is a big block that you drop a sling over and at one point I may have held it a bit and pulled on it! Autan on the left and showing where Murray's 6b goes. There are 3 more E4 6b/c to the right of these between Murrays route and Bills Digger but I don't remember their names although I am sure they are in some sort of guide to highland outcrops or maybe even the Glencoe guide. I have no guidebooks having once sold them all for bike gear.